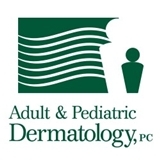 Adult & Pediatric Dermatology, PC (Concord) - Book Appointment Online! Welcome to the Adult & Pediatric Dermatology, PC website. Founded in 1992, our practice offers complete medical, surgical, and cosmetic skincare for patients of all ages, from newborns to the elderly. Adult & Pediatric Dermatology, p.c. has full-time offices in Concord, Westford, Marlborough and Ayer Massachusetts and in Wolfeboro and Manchester New Hampshire. All of our physicians are Board certified in Dermatology. In addition, our physicians, licensed estheticians, and nurse practitioners perform a variety of cosmetic services including laser therapy, skin rejuvenation, chemical peels, hair removal, and wrinkle reduction. Our nurse practitioners specialize in Dermatology, work closely with our physicians, and provide careful and unhurried office evaluations for a full range of skin problems.